For Access to your free energy report please complete the form below. Rapid Doors could speed up your facility by minimising the amount of time spent waiting for doors to open / close. Slow doors and wasted energy consumption from open doors add additional costs to your budget. 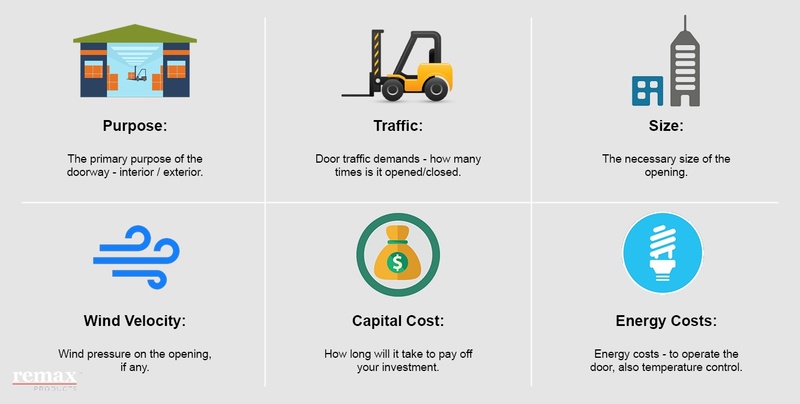 Increase the asset value of your site with smarter, efficient and safer door solutions. 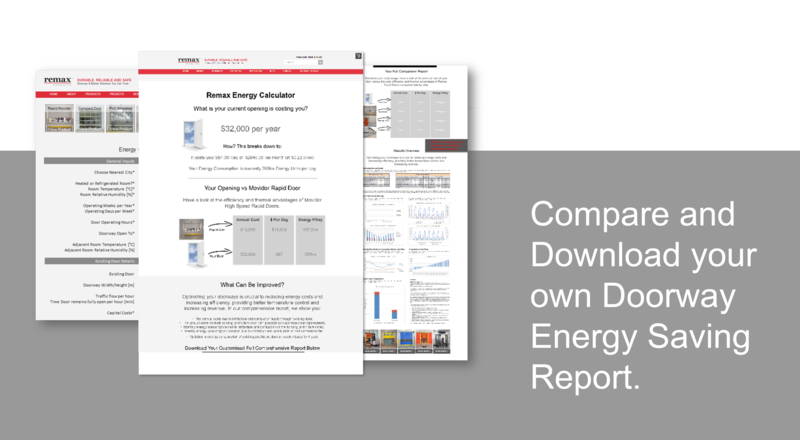 The Remax Doorway Energy Calculator was created for the Warehousing Sector to clearly show the energy loss (in both metrics and dollar figures) through their doors. along with a comparison to an alternative . Based on your location within Australia, the Remax Energy Calculator calculates the annual cost of your current opening, breaking down the cost further into approximate cost per day / per month and energy units per day. Help you to identify appropriate, cost-effective energy efficient doorway upgrades for your warehouse facility. Using Remax Warehouse Doorway Energy Calculator Tool is easy. You simply enter your current site and door specifications, or contact the Remax team and we can produce a report for you. Purpose - The primary purpose of the doorway in question - interior/exterior. / Traffic - The traffic demands on the door - how many times the opening is opened/closed. / Size - The necessary size of the opening. / Energy Costs - Your unit costs on site can be entered or a default national price is assumed. / Wind Velocity - Pressure on the opening / if any. / Capital Cost - Option of adding in your capital cost of new door/s to calculate, based on the energy saved - how many years it could potentially take you to pay off your door/s.